The Women's World Cup started this week and U.S. women are turning to social media to talk with other fans and follow the games. The 2014 FIFA World Cup was undoubtedly one of the largest events that social media has ever seen. Facebook alone saw 350 million users engage in more than three billion interactions throughout the tournament last year. The FIFA Women’s World Cup started this week, and women are driving the conversation on social. Influenster, a product discovery platform, surveyed 10,400 U.S. women primarily between the ages of 18 and 45. Of the survey participants, 99 percent were considered “heavy social media users” and were active on two or more social networks. Sixty-three percent of the women surveyed said they planned to watch the Women’s World Cup this year. While more than half said they would watch to support team U.S.A. or in support of female athletes, only 33 percent planned to watch because they are soccer fans. That said, American audiences seem to get more excited about soccer every year, and so we can expect that last number to grow. 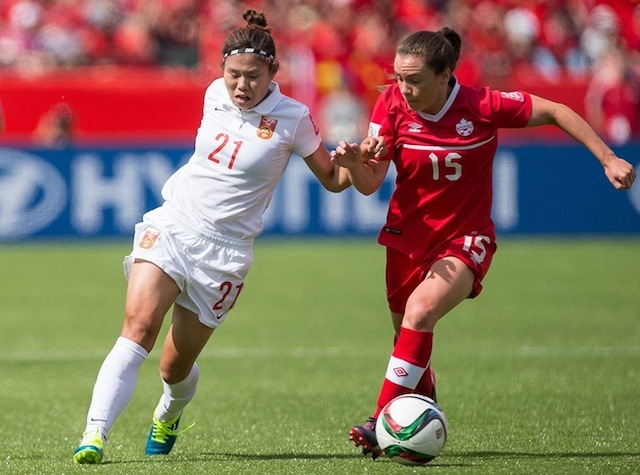 Much like the 2014 World Cup, we can expect the Women’s World Cup to result in lots of social media chatter. In fact, 61 percent of survey participants indicated they would use social media to stay updated on the competition, while 47 percent indicated they would get updates from television and even fewer planned to get updates from news sites or print publications. Facebook, Twitter, Instagram, and Snapchat are the most popular networks that women are using to keep track of the competition. Twitter users plan to tweet during the games, and 76 percent will do so to interact with other fans. 64 percent will tweet to support their team, and 49 percent will tweet to feel connected to the game. For more information on attitudes towards recent FIFA scandals, and the attitudes towards team USA, view the infographic below. Top image courtesy of FIFA Women’s World Cup on Facebook.